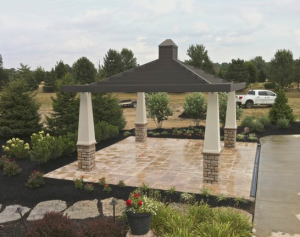 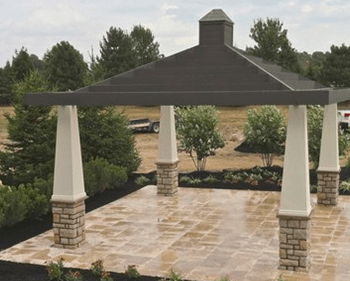 This pergola was custom built and partnered with Family Leisure. 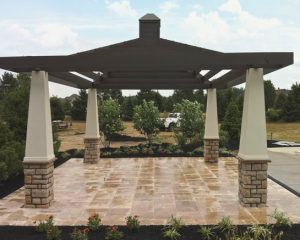 The patio was travertine and columns made of limestone. 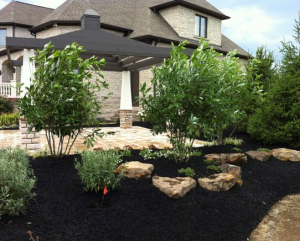 We added boulders with sweetbay magnolias along with various perennials to add color and texture.